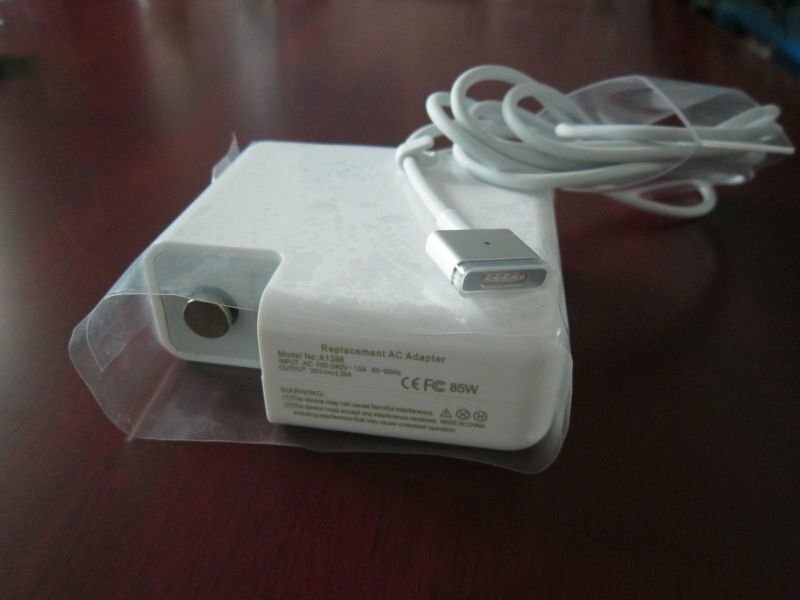 MagSafe Power Adapter is the name of the power connector for current notebook of the brand Apple namely MacBook Pro. Here is the technical and practical aspects of MagSafe Power Adapter. One of the beautiful part of a MacBook Pro is its charger – MagSafe Power Adapter which is currently labeled as MagSafe 2, which is compact, sleek and fully different in appearance from other manufacturer’s power adapter. 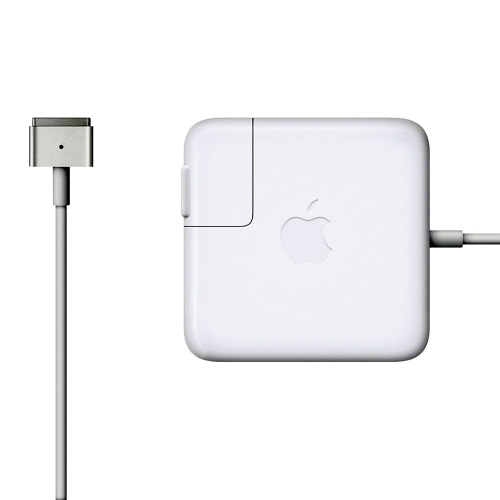 MagSafe Power Adapter was released on 10th January 2006 together with MacBook Pro on the Macworld Expo and since it is present in the models of MacBook Pro and MacBook Air. The primary objective of this quick release connector is the avoidance of falls associated with sudden pulling of the power supply cable when the laptop is being charged from the main power supply. The holding catch point of the plug in the corresponding socket to the power charging port is done using magnet. The metal body of the power supply connector is held by magnetic force, it is inserted just by taking the MagSafe Power Adapter’s charger end towards the port on the MacBook Pro or Air. MagSafe Power Adapter is characterized spring loaded gold contacts which are brought into the contact and pressed by magnetic force, not by pushing it. With a powerful pull on the cable from in any direction, the plug is released eliminating the risk of accidents that can occur with stepping in to a cable or physical damage of the laptop for the pull exerted which might break the glass parts when placed on a height from the hard flooring. This design also prevents the power jack on the board inside the machine from breaking or damage due to a loose connection. 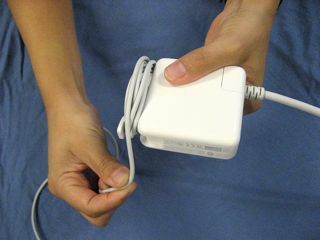 This can happen with conventional connectors when the power plug is bent outward and is particularly the case when the power plug is before packing a notebook not deducted in a bag. The round connector is constructed symmetrically, so it can be snapped in to charge from both directions. On the lateral faces of the plug there are two multi color LED that indicates the state of charging: orange means charging, green means completely charged; one can switch off the mains or snap it off from charging port to disconnect. Apple officially recommends not to keep on charging for better battery life (battery calibration and maintenance) unless any prompt appears to keep the external charging on, for example for an upgrade of OS. The metal head serves as point of ground / Earth contact for the cable and provides physical snap in support. 15″ and 17″ uses 85W MagSafe Power Adapter while the smaller models uses 60W MagSafe Power Adapter. Despite the state of art technology by using the basics of physics, which definitely shows creative idea ; MagSafe Power Adapter is a vendor locked product. MagSafe Power Adapter is separately sold by Apple. Torn of the cable at points happens due to cable failure (for past models) or due to improper care by the user. Other frequently suffered minor problem is the sensation of ‘vibration’ or ‘tingling’ on the aluminum body,when the two pin duck head is used; i.e. when there is no Earth. This happens due to static electricity on aero grade polished Aluminum unibody. Using the longer cable with 3 pins or not grounding the body of the user (like not touching feet to floor) or using an earth cable on the body avoids this small issue. It has no practical side effects, indeed it indirectly repels the dust particles which are charged to the opposite by various other factors present nearby or the body itself. We recommend to contact Apple care if the sensation is present even if using the Earth pin enabled cord or not grounding own body or the shock is detectable by a tester or disproportionately high. This Article Has Been Shared 3944 Times! Fiber Optic Headphones has both the cord and the connecting plug technically designed for using Optical Fiber cables and Fibre Channel Technology. iPhone and iOS are both designed, developed and marketed by Apple Inc. iOS is mobile version operating system of OS X which is used on Apple computers. Apple Magic Mouse is an optical, wireless mouse from Apple which was released in October 2009 and it is the direct successor of the Apple Wireless Mighty Mouse. I to find it very bothersome to tell the truth nevertheless I’ll definitely come back again. Cite this article as: Abhishek Ghosh, "MagSafe Power Adapter Details," in The Customize Windows, January 2, 2013, April 24, 2019, https://thecustomizewindows.com/2013/01/magsafe-power-adapter-details/.